This is going to be one of those posts where I stitch together a few quotes, make a few comments that are somewhere between banal and provocative, and leave it at that. I consider this to be fair warning. Accompanied by Mr. Moneybags and by the possessor of labour-power, we therefore take leave for a time of this noisy sphere, where everything takes place on the surface and in view of all men, and follow them both into the hidden abode of production, on whose threshold there stares us in the face “No admittance except on business.” Here we shall see, not only how capital produces, but how capital is produced. We shall at last force the secret of profit making. (OK, that is probably more than could be called a “passage,” it is more like page). There is so much that could be said about the sheer rhetorical density of this passage, the allusions, sarcasm, and characterizations. I suspect that it was a good writing day for Marx. Marx’s general point is the division between the sphere of production and exchange. A division that offers another account of ideology or fetishism; ideology is a necessarily partial view of society, based on the market, a partial view which takes itself for the whole. The “eden of the innate rights of man” is an after image of market activity itself. Lately, I have been wondering if it is possible to push Marx on this point. I wonder if he may be understood to be saying something about the relationship between work and representation. 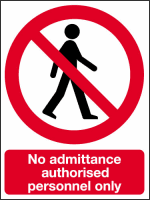 What if the no admittance sign obscures work, and production, from the realm of social representation? Whatever the reasons, ontological, aesthetic, or political, the division between work and representation, would seem to necessitate two things: democratic politics, politics of representation are ideological, or rather fetishistic at their very core, and, second, the politics of work can only exist as a disruption of this order.